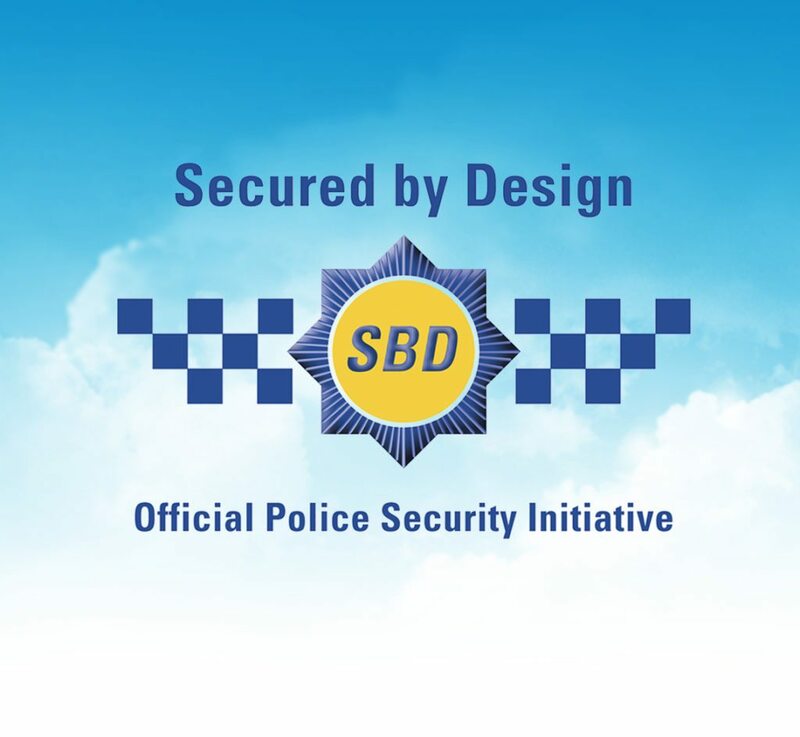 Our secure by design sliding rooflight has been tested by leading independent testing facility, BRE (Building Research Establishment) and achieved LPS 2081:Issue 1 certification. 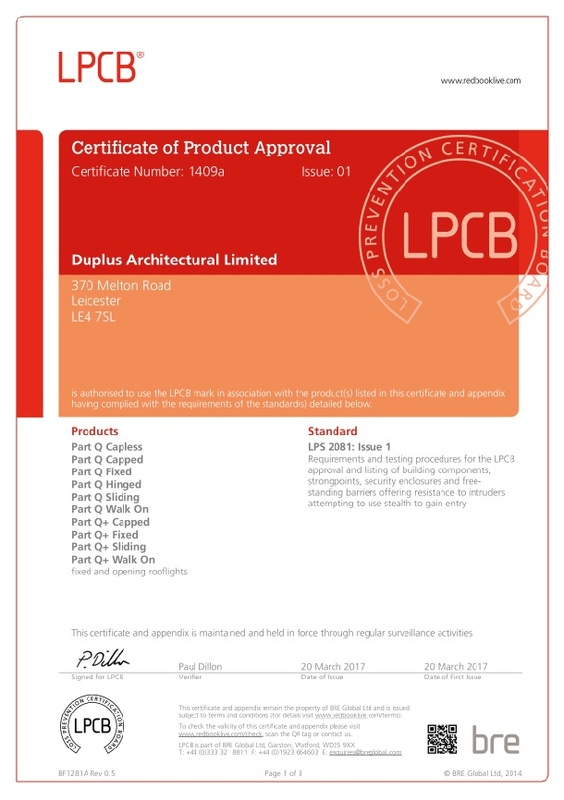 This means that our rooflights conform to the requirements setout in The Building Regulations Approved Document Part Q (Secure by Design). The test involves a timed manual attack using various methods to determine whether the rooflight can withstand an attack by an intruder. 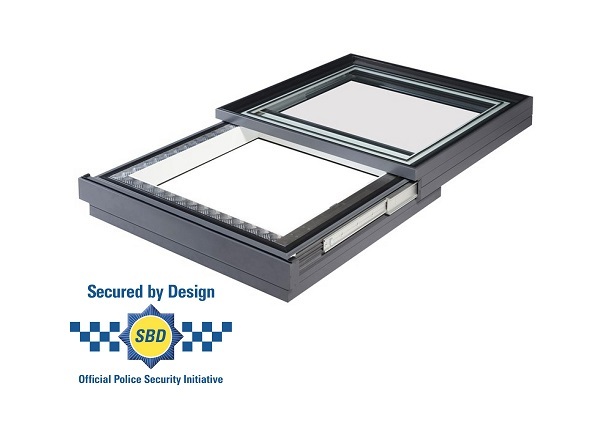 Our secure by design sliding rooflight is designed to provide a large opening to any roof. How you use this opening is for you to decide. It could be that you are looking to open up more of your internal living space to the outside? Maybe you want to provide precise control for ventilation? 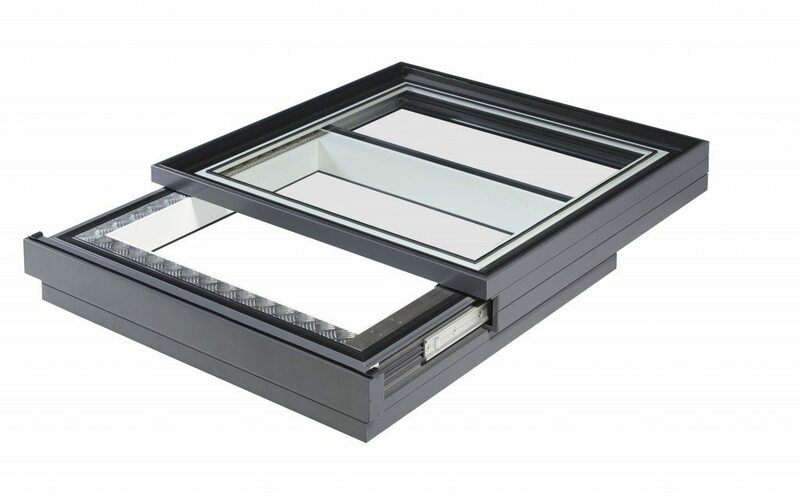 You may need an opening large enough to enable access onto a roof. 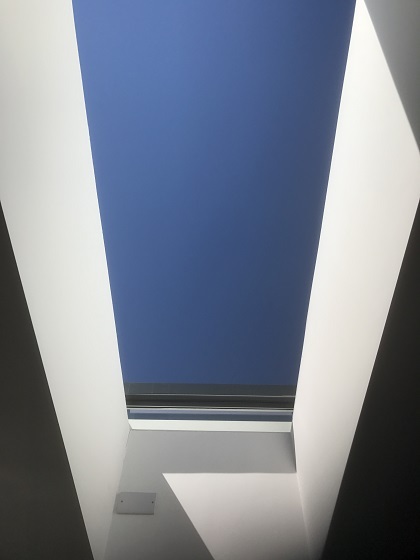 In any of these instances the Duplus sliding rooflight is the ideal product. 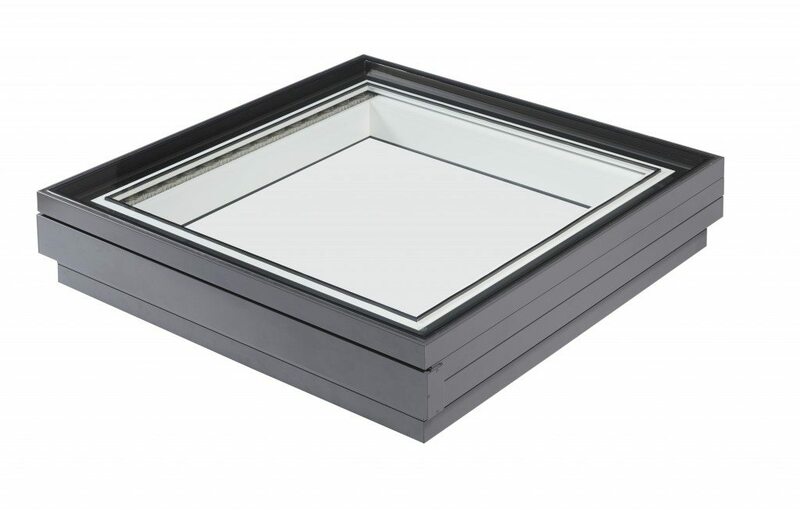 Our sliding rooflight can be used in flat and pitched roof applications upto 30 degrees slope. 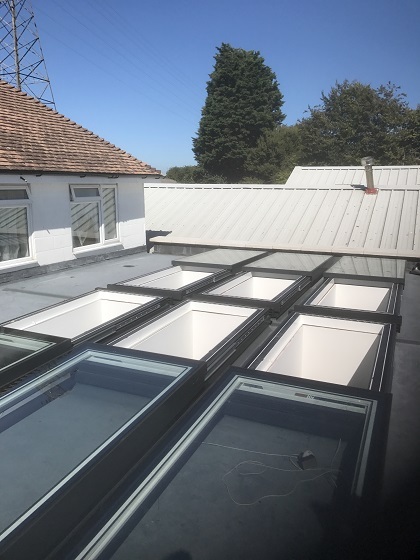 The extruded thermally broken aluminium perimeter frame is powder coated RAL 7016 dark grey matt externally and RAL 9910 white matt internally as standard. Other RAL colour options are available upon request. 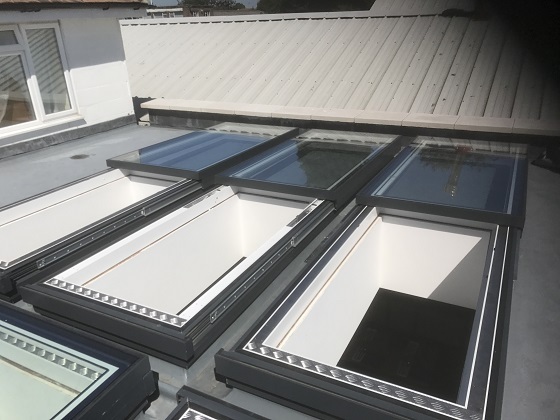 Our sliding rooflight is easy to install, an internal perimeter gasket allows the rooflight to be placed directly on top of the builders kerb without the need for site applied silicone. It is then screwed to the builders kerb externally and a matching cover clip is then applied to conceal the fixings. A qualified electrician will be required to make the final connections to the motor and the transformer switch. 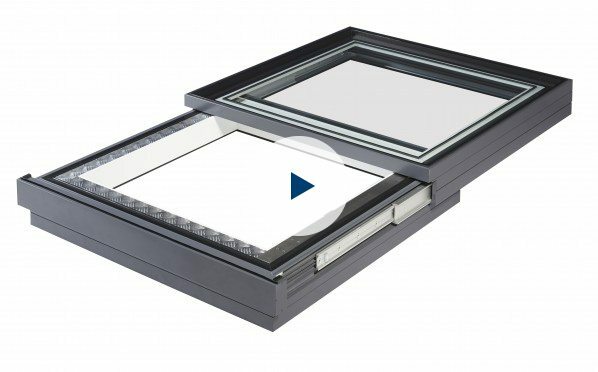 Wiring diagrams are provided with all opening rooflights.